This Powerbrake kit is made to replace the front brake components on the 3rd generation Focus ST or RS chassis - rotors, calipers, lines, and brackets. The engineers at Powerbrake have designed this kit so that when using the factory rear brakes and master cylinder, hydraulic ratio and pedal travel will not be affected. There are many advantages of the X6EL 6 piston brake kit for the Focus. We often see that with motorsports grade components your "costs per lap" will go down. True racing calipers look after the pads and rotors better than the OEM calipers with track pads. This means you will see drastically improved brake performance, with less wear, for a longer period of time. Another great benefit is a reduction in unsprung weight. We often see a weight drop of 2-8 p[ounders per corner when going to Motorsports brakes like this. The change in braking feel over the OEM cast Brembos is always eye opening as well, and the stopping performance is exceptional. This brake package should fit under most 18-19" wheels. 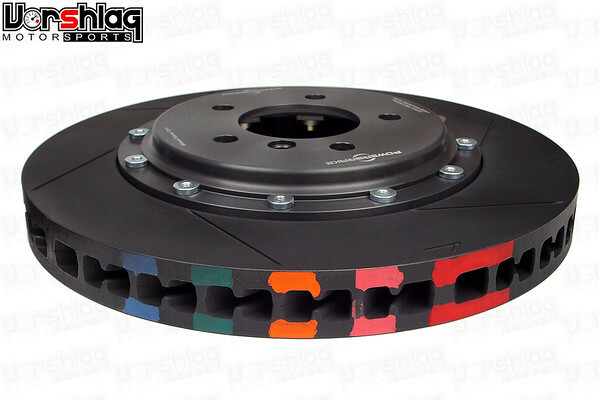 Please contact Vorshlag for a "brake template" of this caliper/rotor combination to check inside your wheels to verify fitment. In the past converting to a 6-piston brake caliper meant also switching to a 15" rotor and buying new wheels to fit over everything...the cost add up quickly. 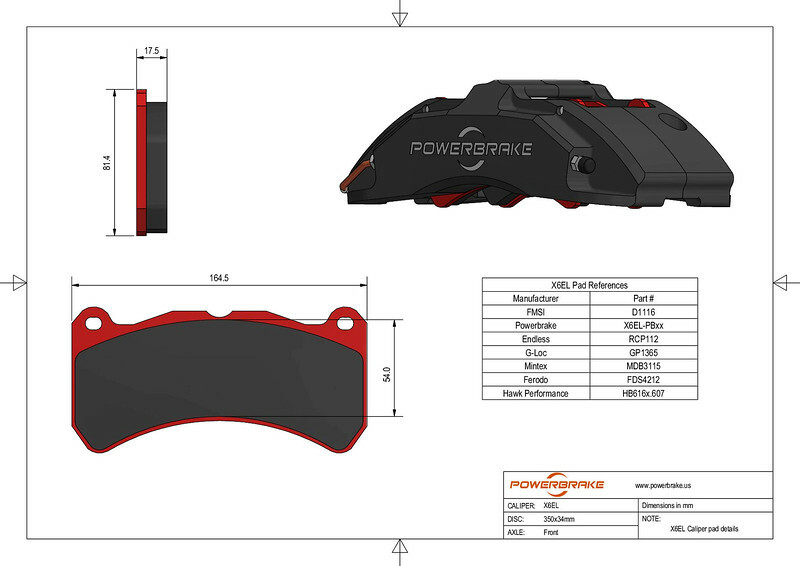 Powerbrake's X6EL gives you all the benefit of a 6-piston caliper without needing such a large rotor, which means you most likely already have wheels that fit over these brake.